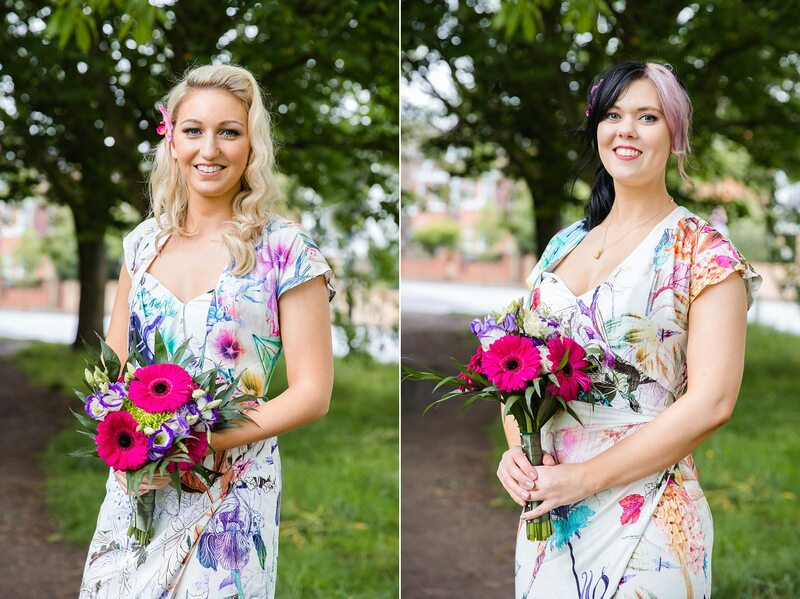 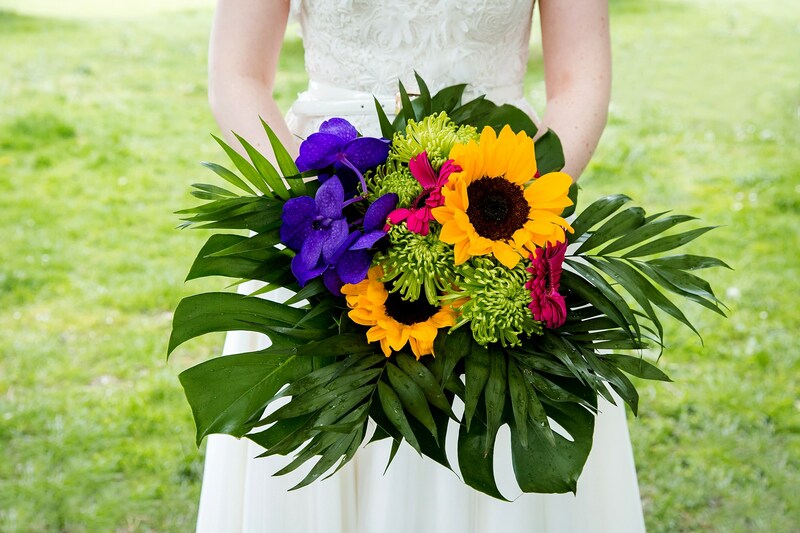 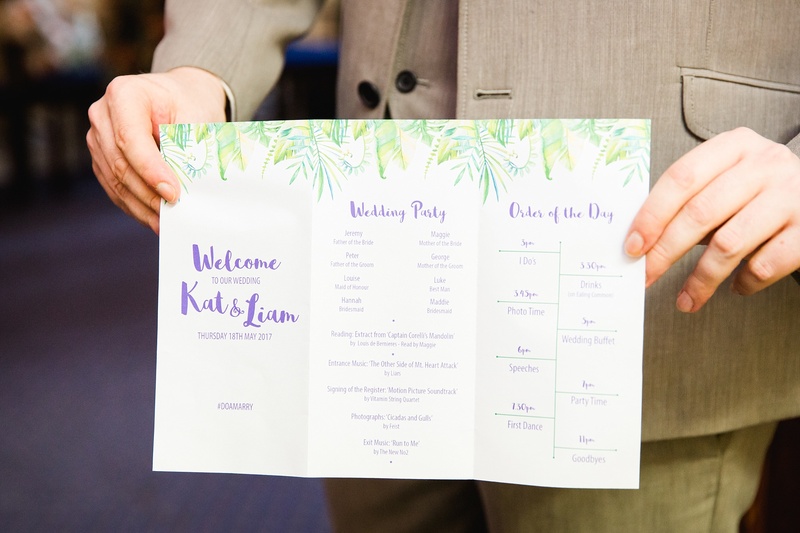 Kat has a love of tropicals and crafting, so it was only natural that her wedding be as tropical themed as possible. 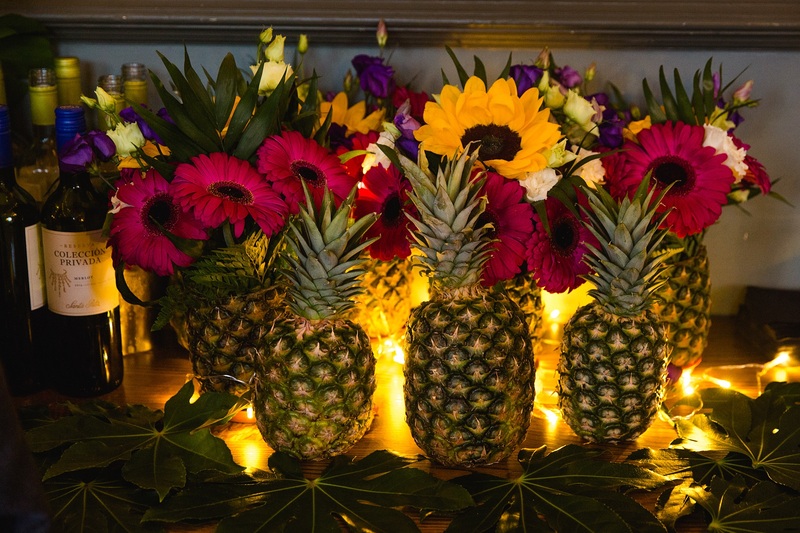 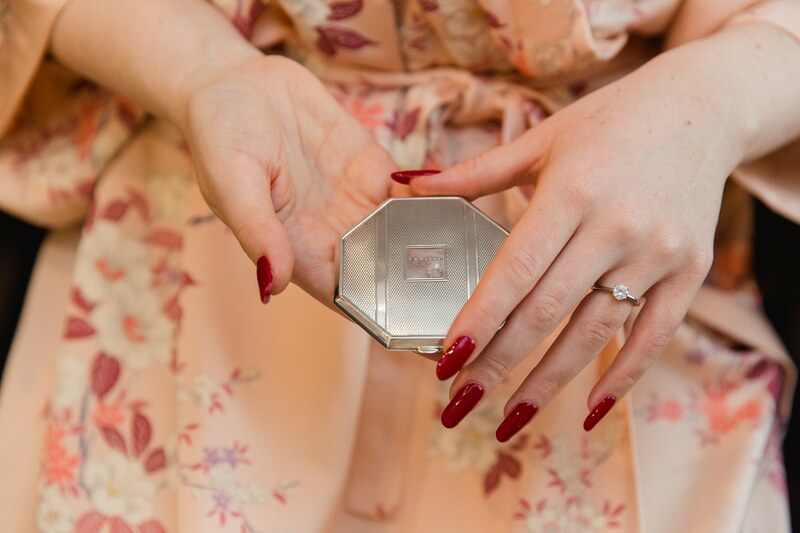 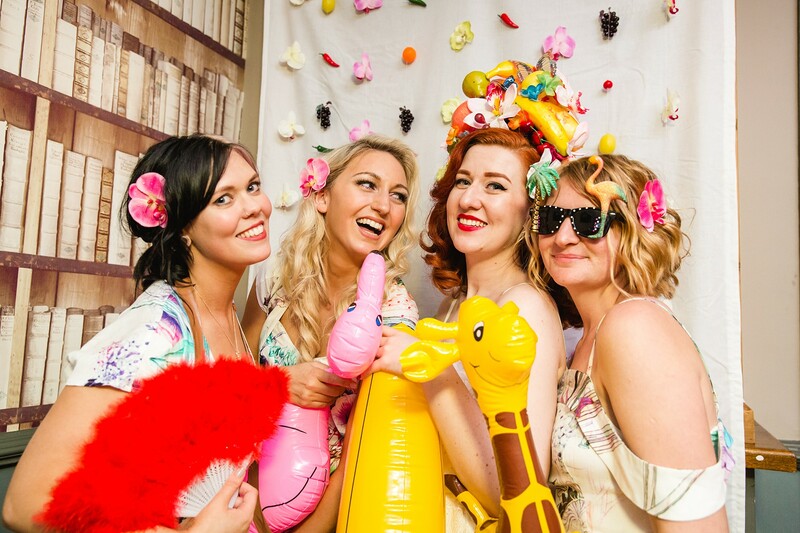 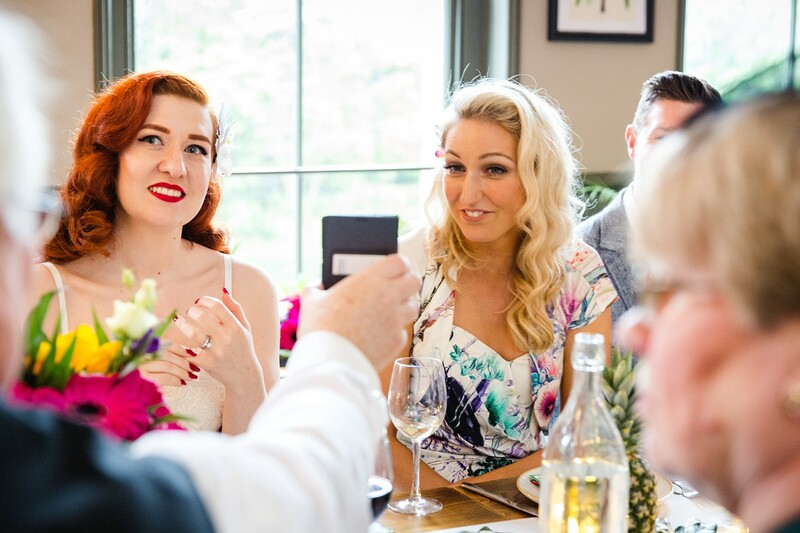 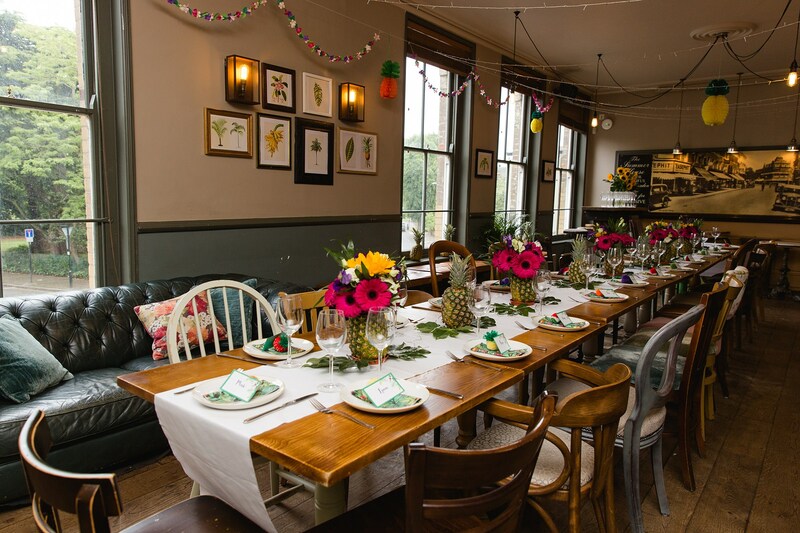 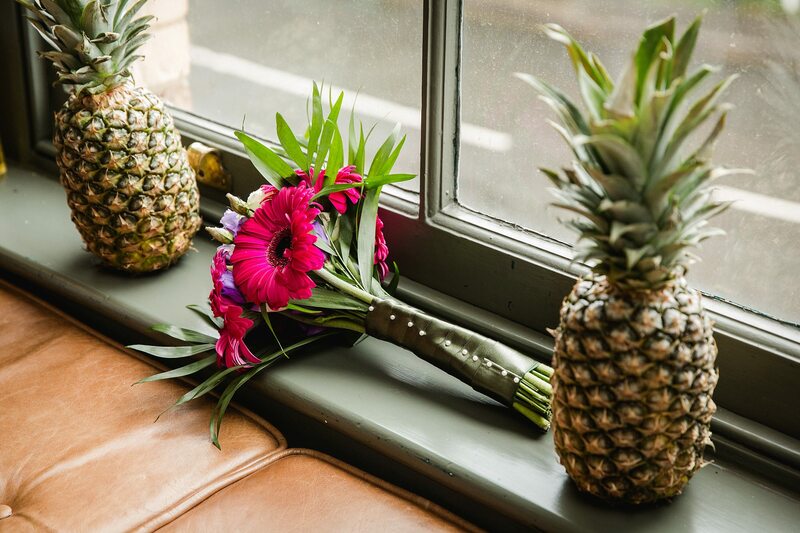 From flower filled (amazing smelling) pineapple table decor, to pineapple card guest book, pineapple lighting, a fruity photo booth, and hand crafted fruity table favours, right down to the amazing bridesmaids dresses! 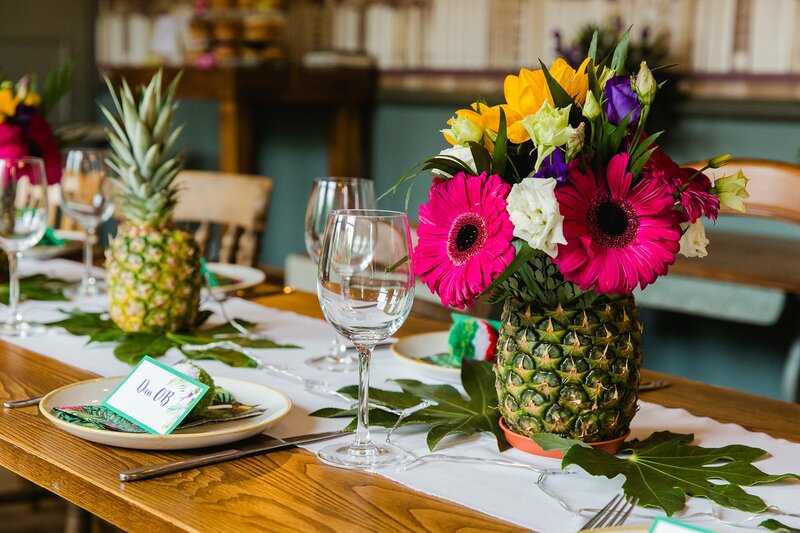 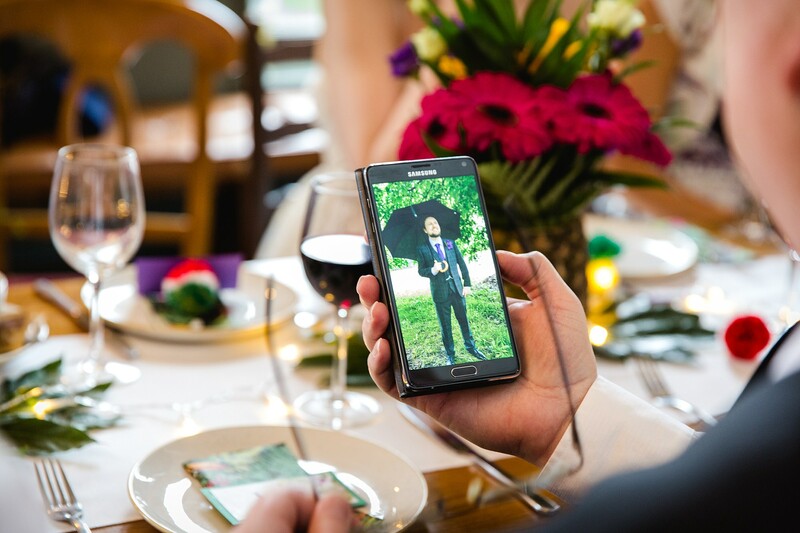 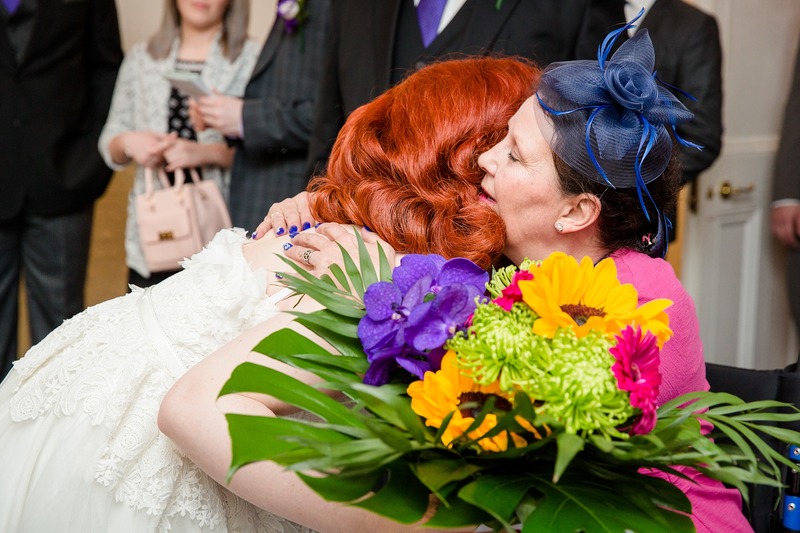 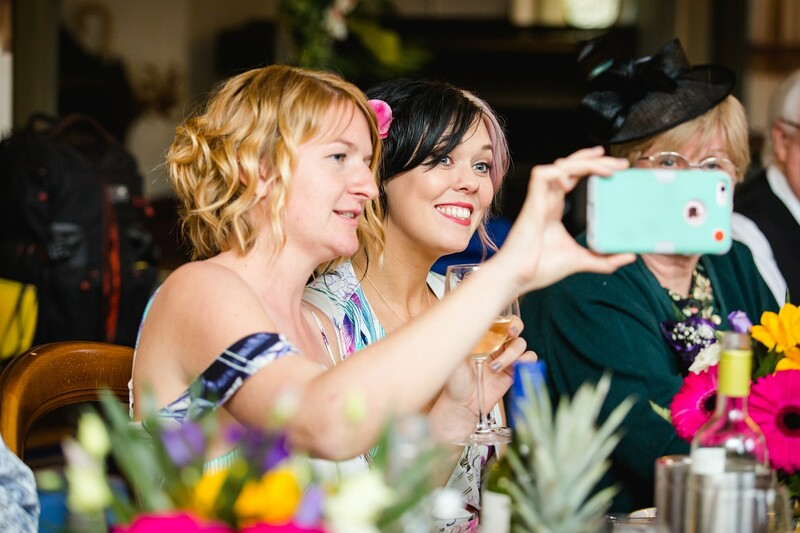 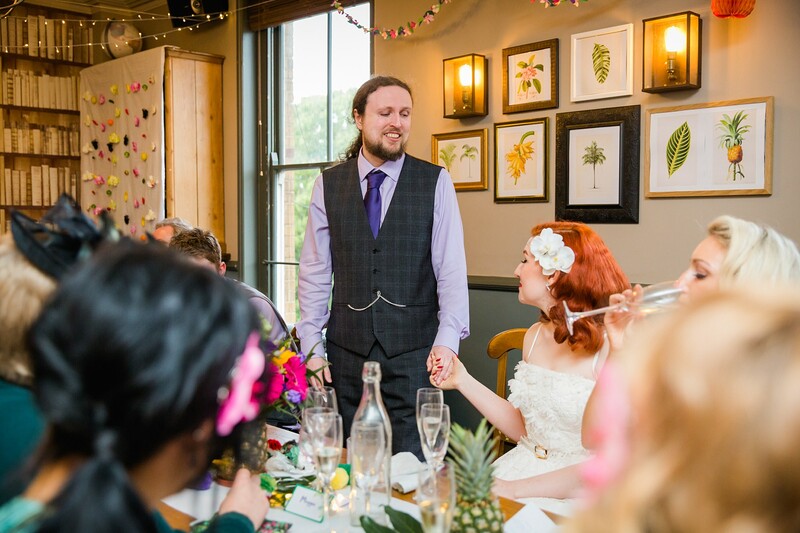 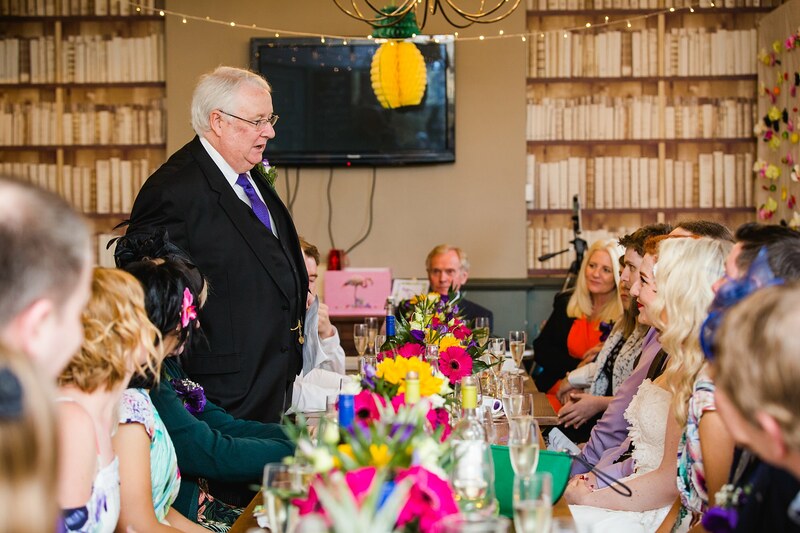 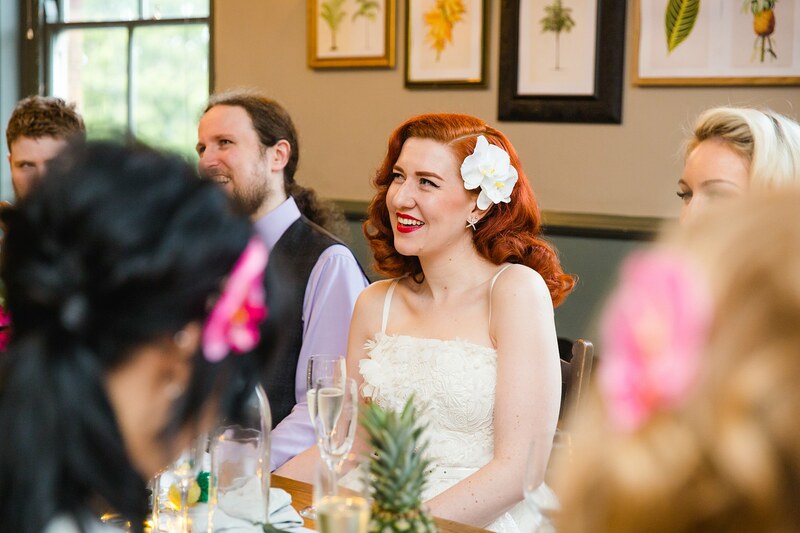 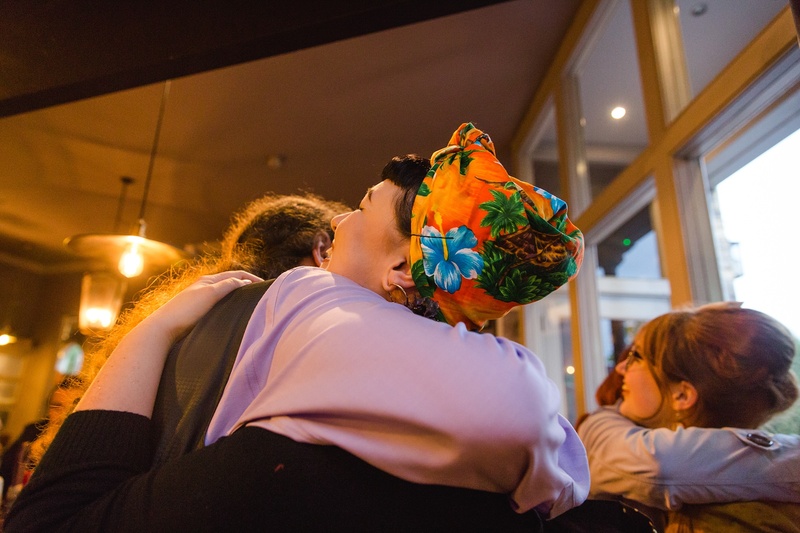 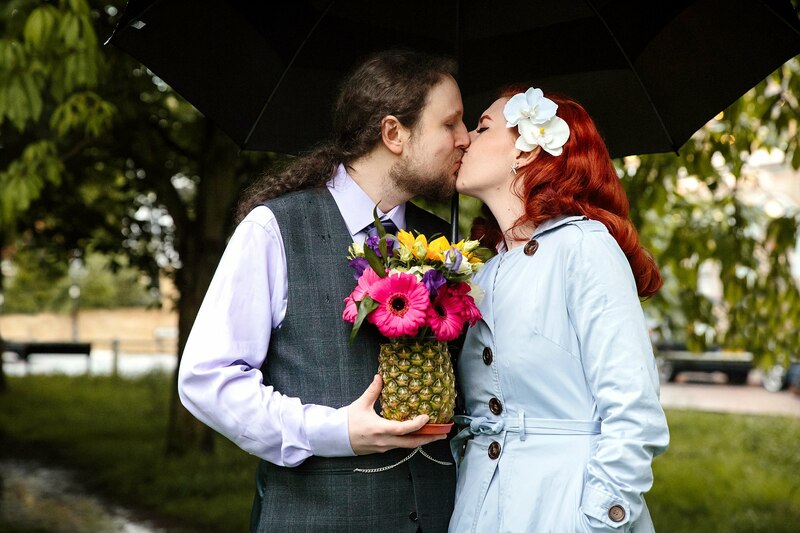 Kat’s Mum made the wonderful pineapple table flowers and her palm fringed bouquet – I love just how much creativity and DIY went into this wedding! 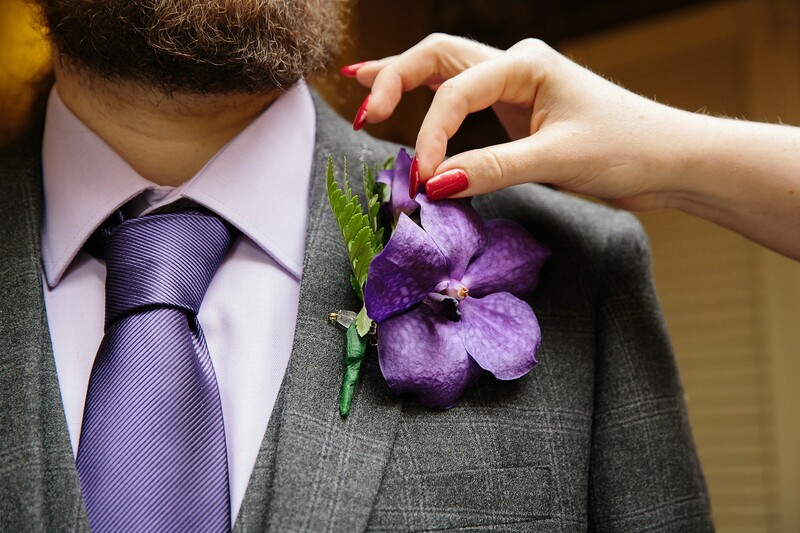 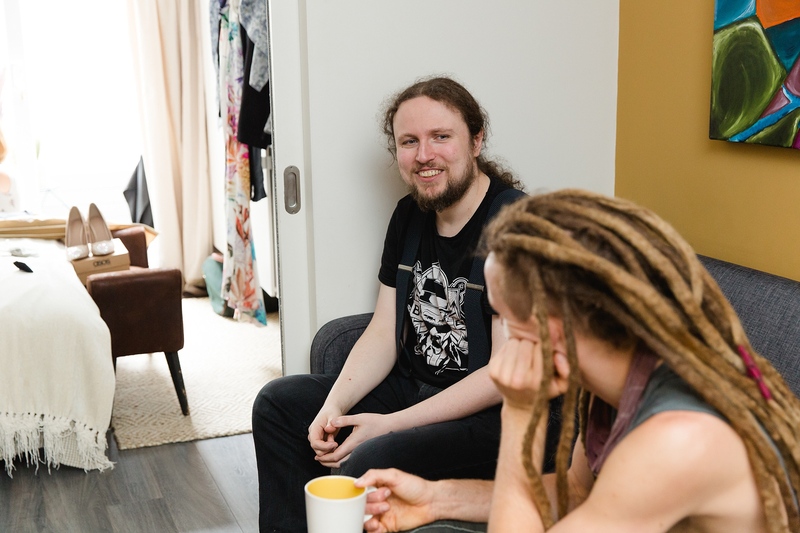 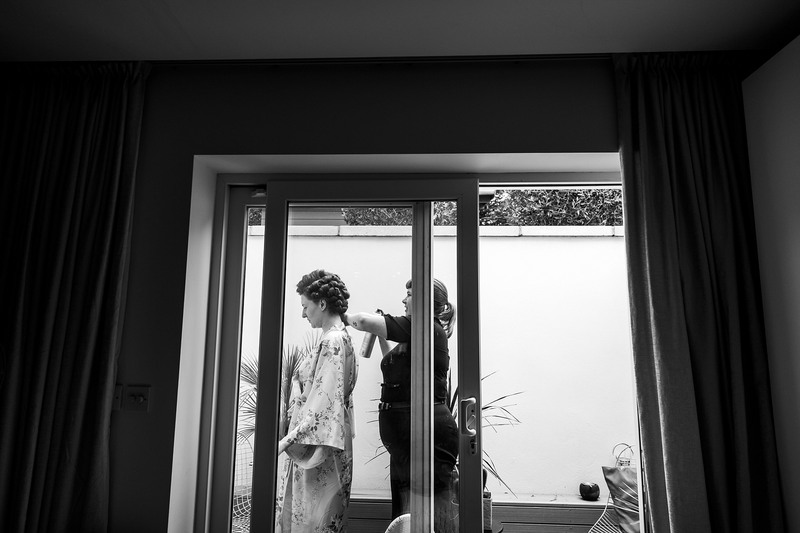 Kat and Liam chose to get ready together with the bridesmaids, and I always enjoy those weddings where I get to spend time with both bride and groom ahead of the ceremony. 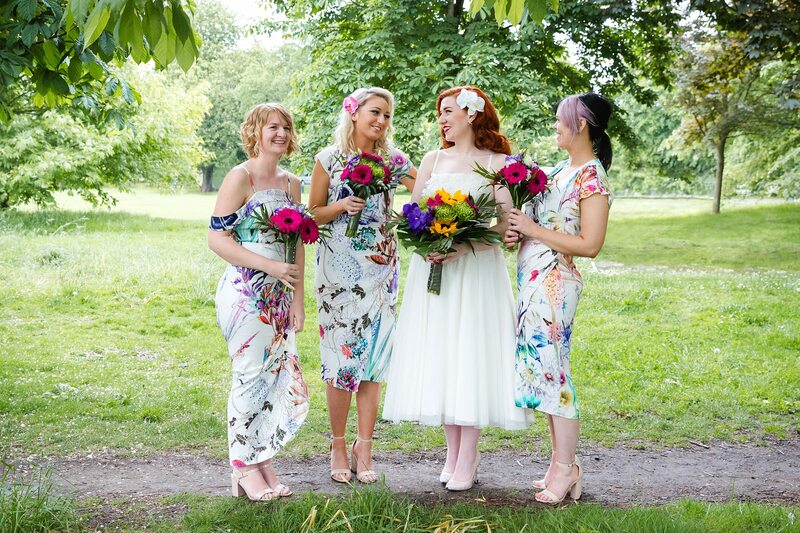 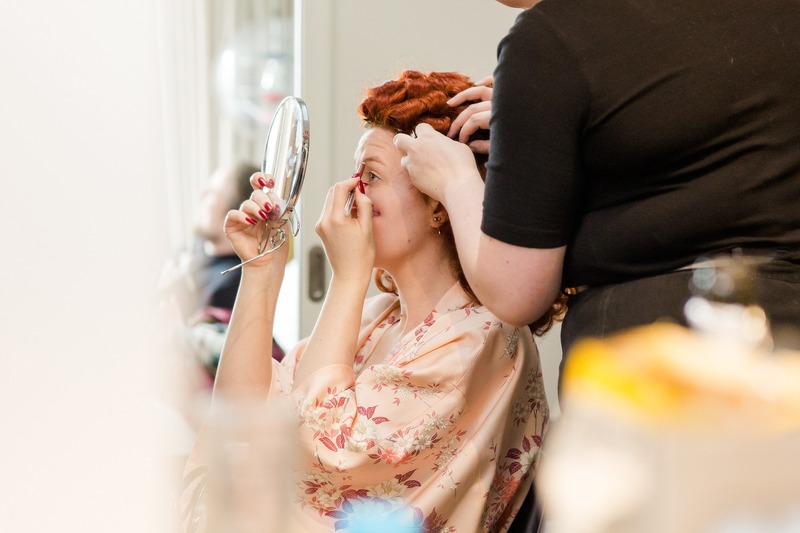 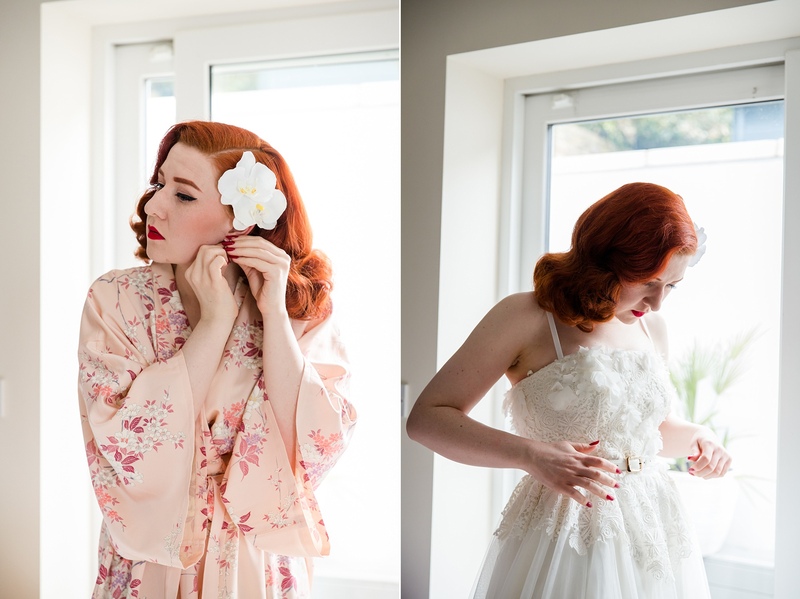 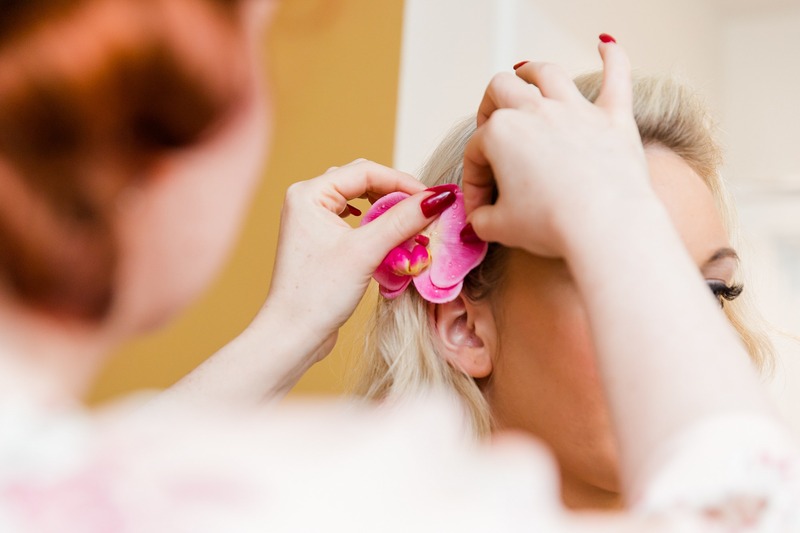 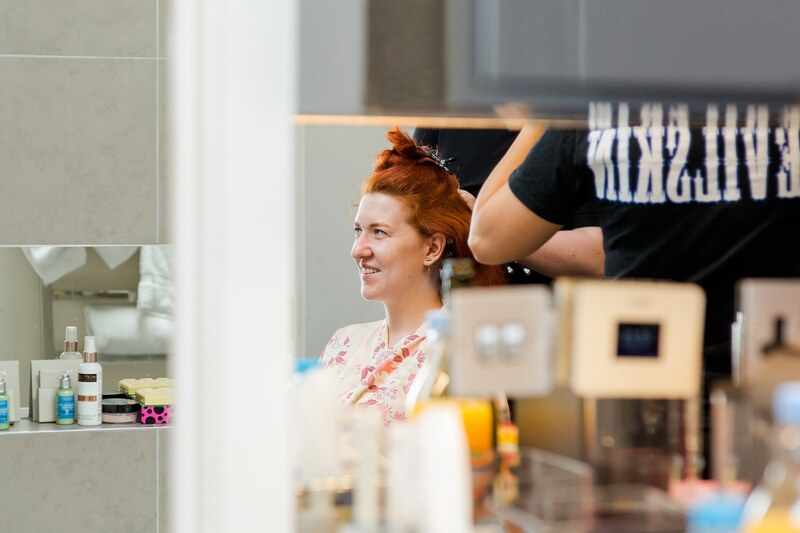 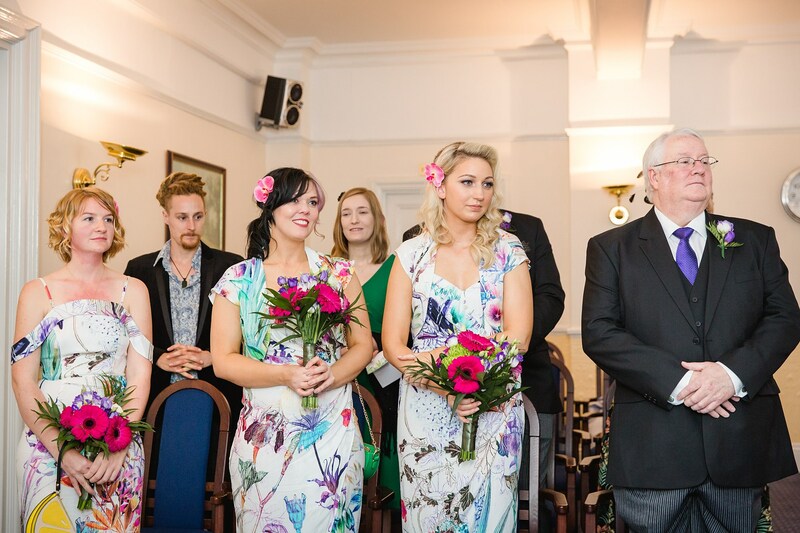 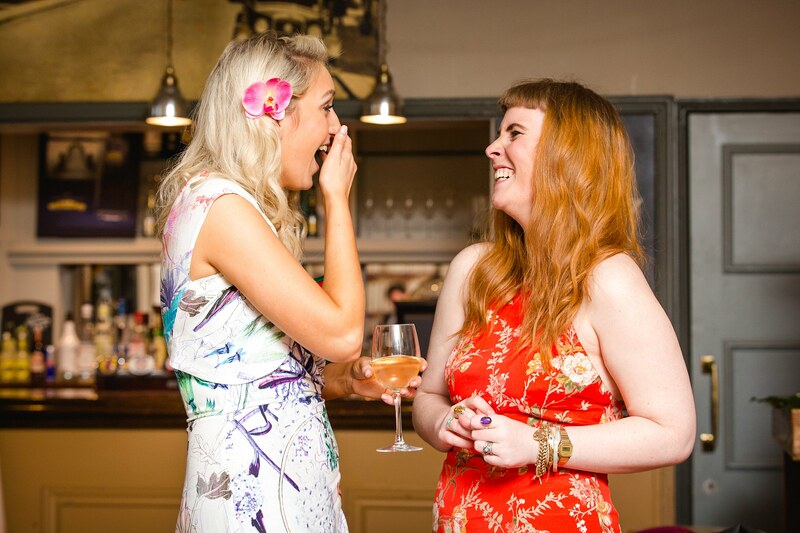 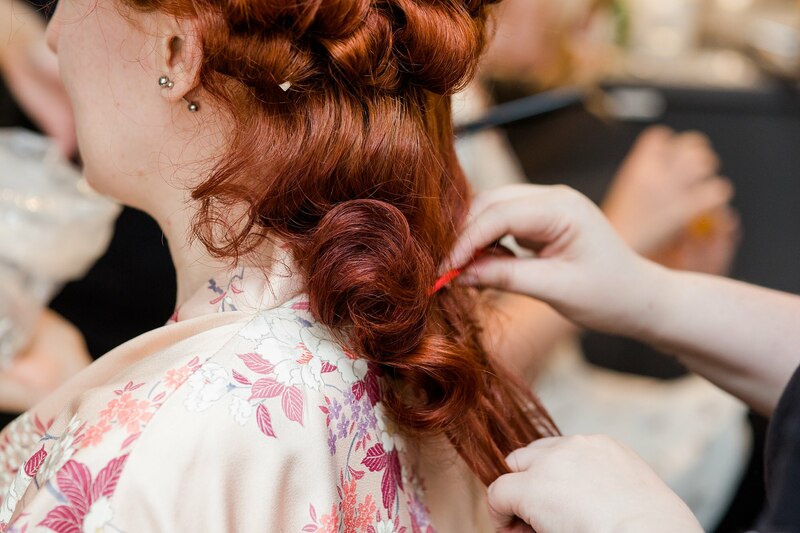 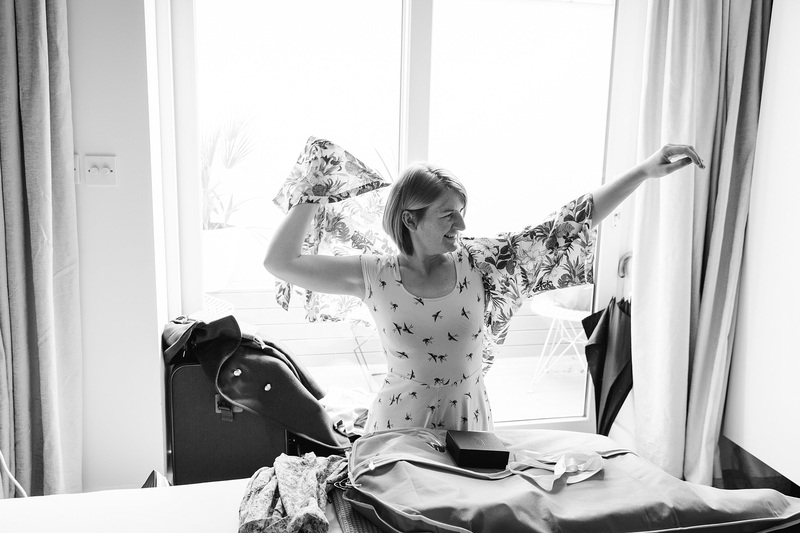 Everyone helped each other get ready, with Kat adding floral finishing touches to her bridesmaids’ hair, and gifting them tropical handmade kimonos and pineapple necklaces. 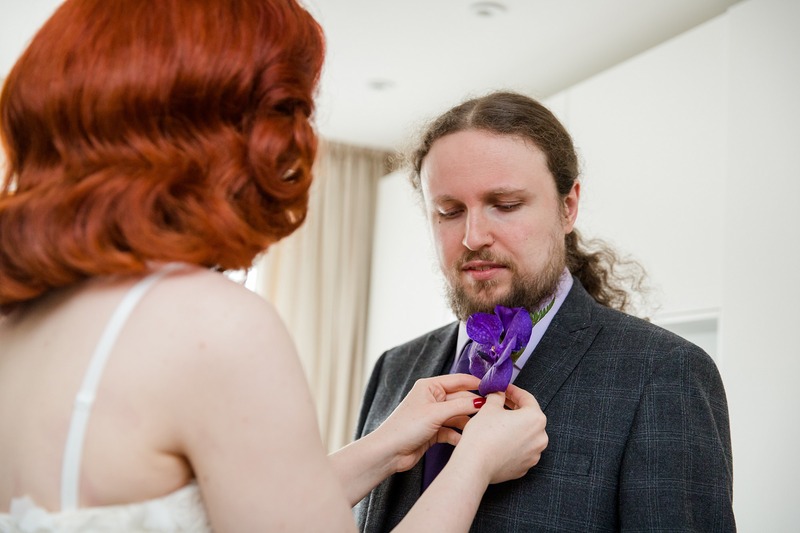 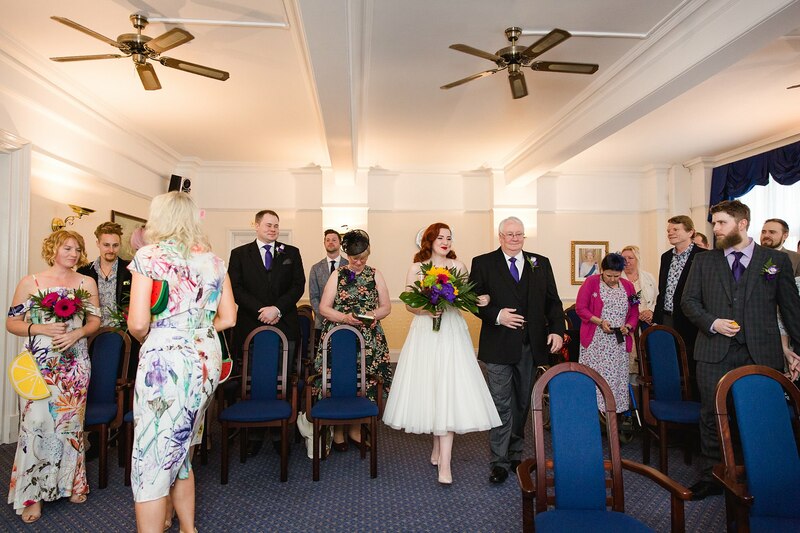 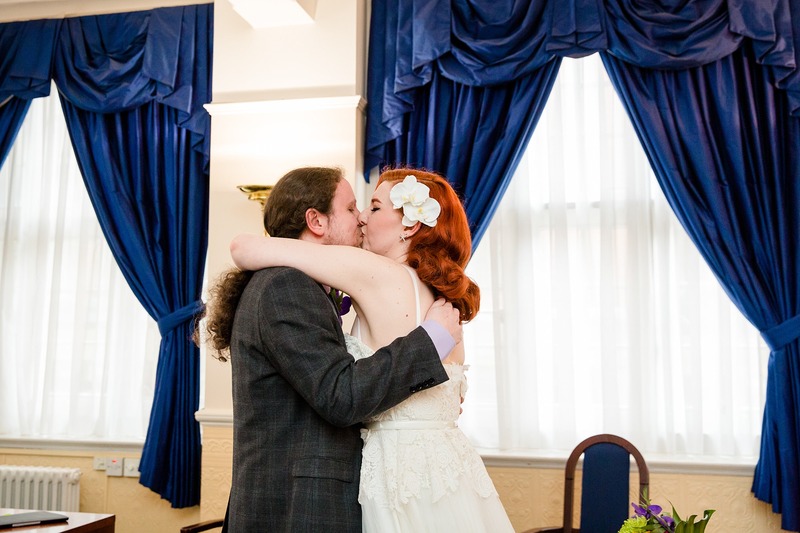 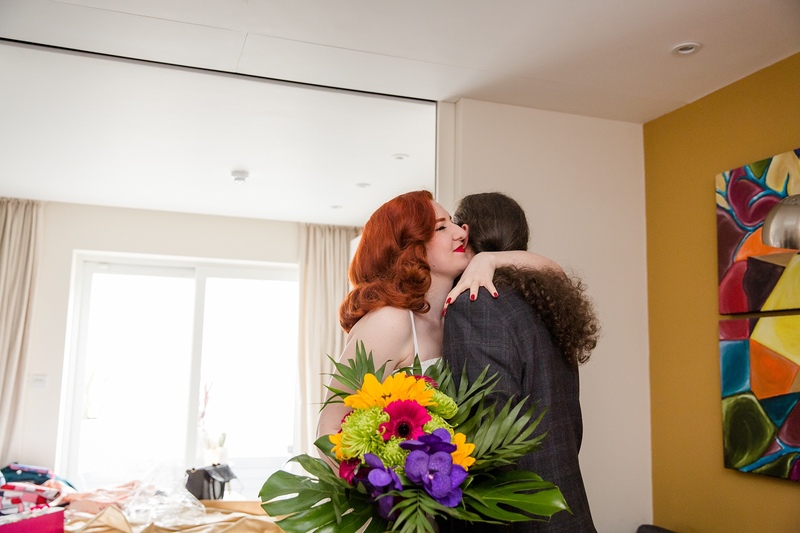 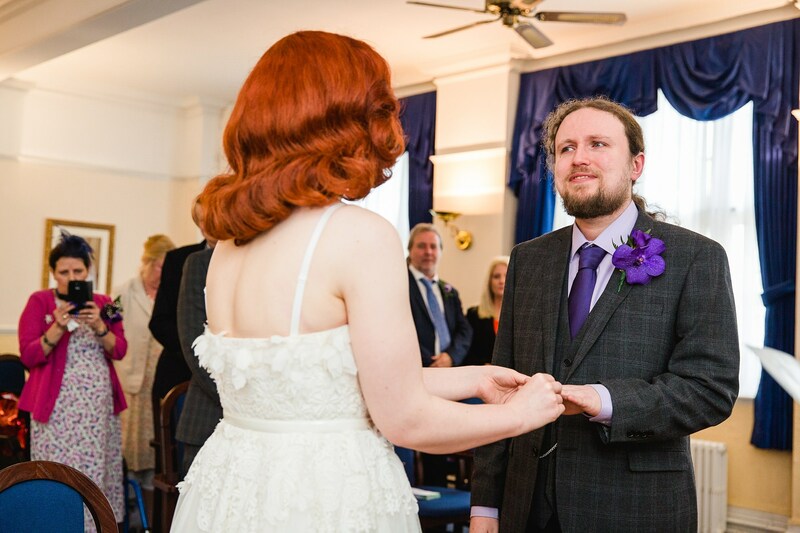 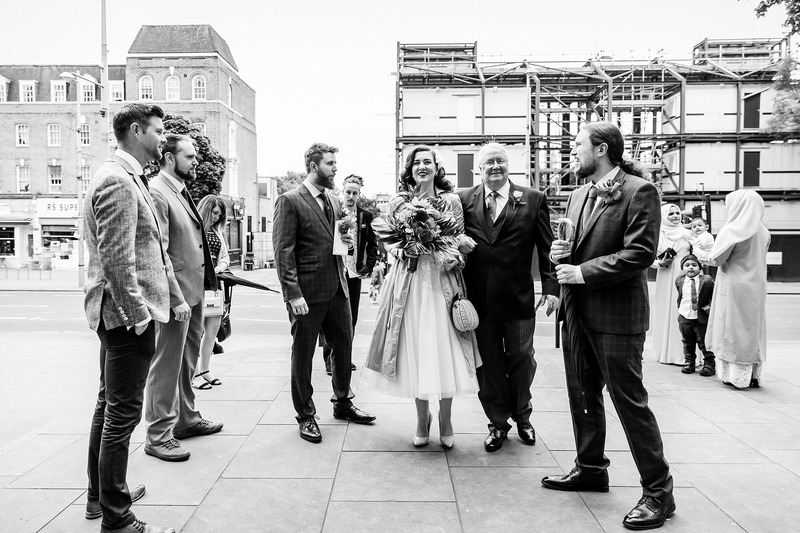 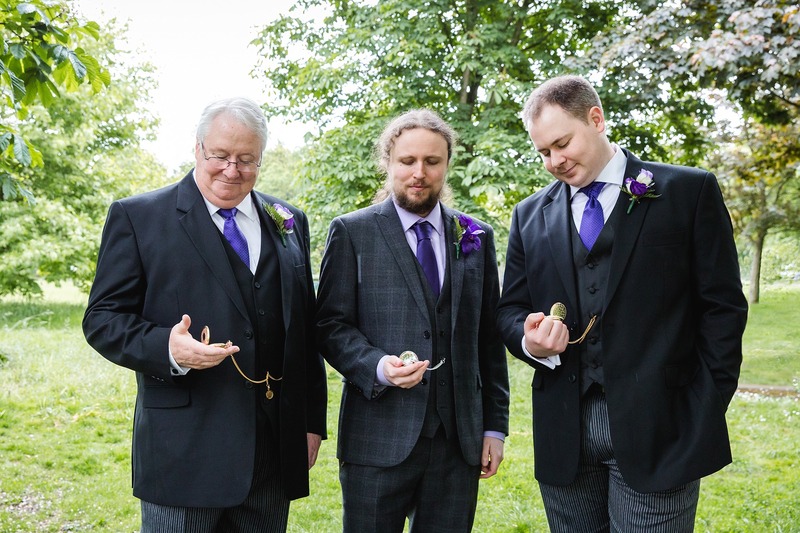 They had a simple and intimate ceremony at Ealing Town Hall, before heading off to The Grange pub in Ealing for drinks on Ealing common. 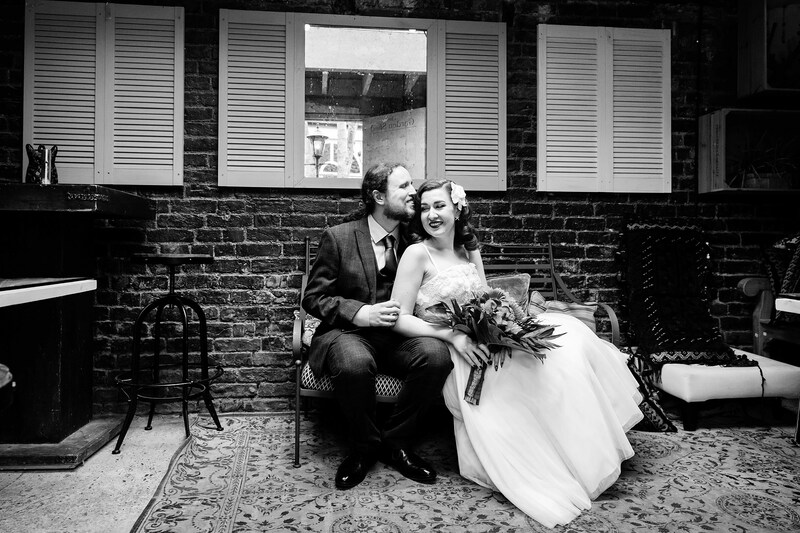 It was one of those rare days where it just rains non stop, so I took Kat and Liam for some indoor shots relaxing inside a funky shed inside The Grange pub. 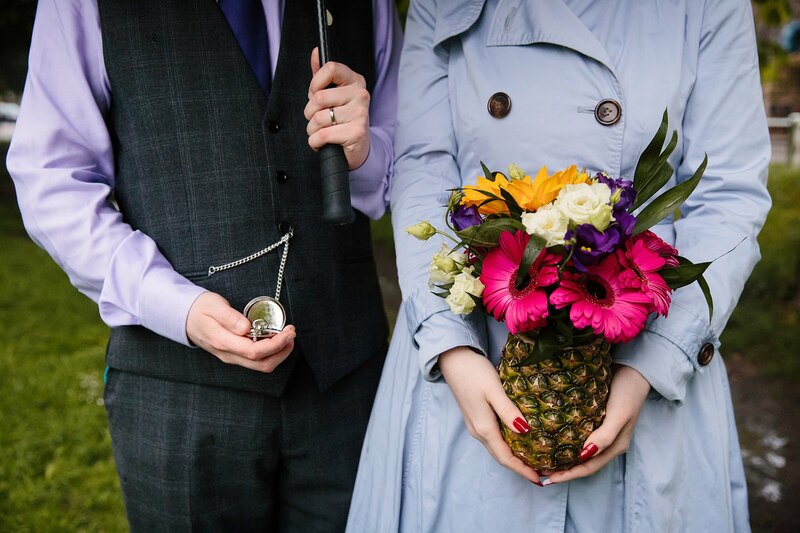 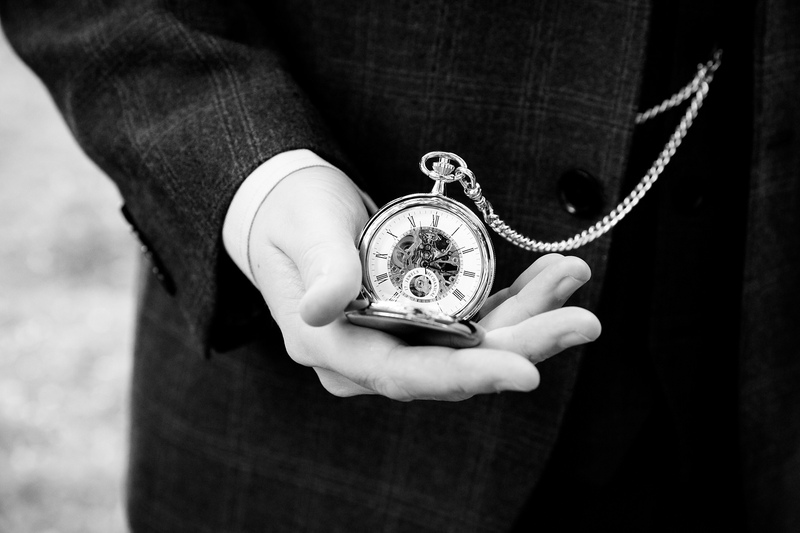 We did hope to head out on the common later on that day for a few more couples shots – it did still rain but Kat and Liam were totally happy rocking umbrellas, raincoats, pineapples and pocket watches! 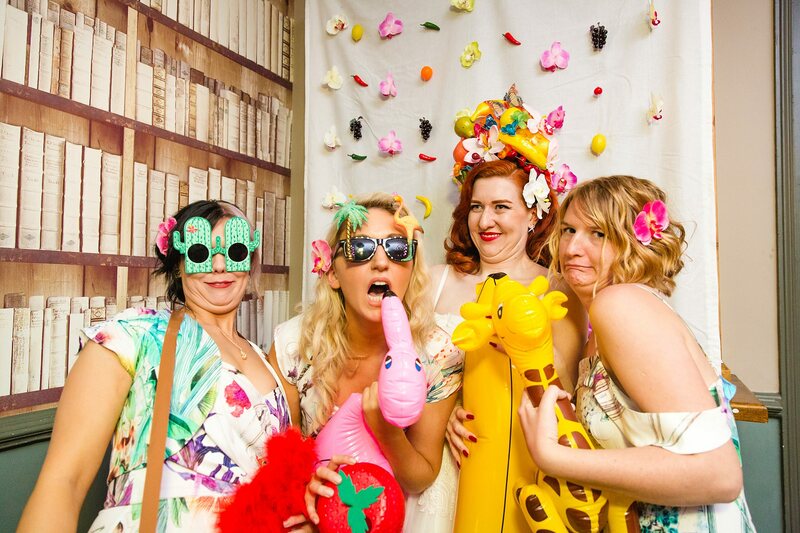 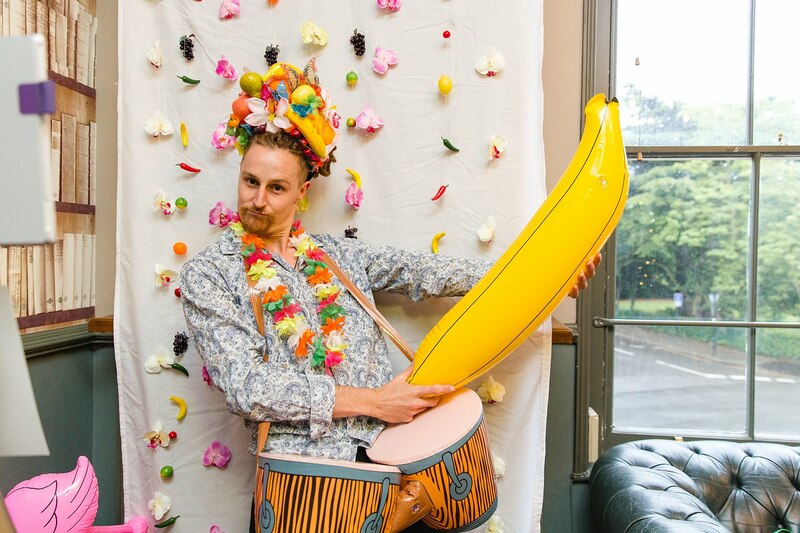 Guests had loads of fun with the DIY fruity themed photo booth with inflatables aplenty – some of my favourite shots of the night (and year) are mad faces with those fruits! 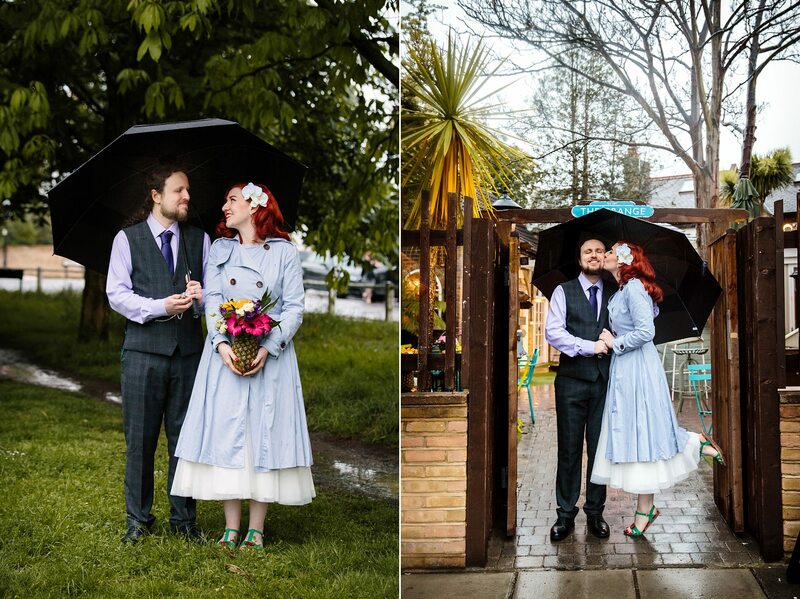 Since it did rain literally ALL DAY at Kat and Liam’s wedding, I took them out for a post wedding shoot later on in the summer in the most perfect setting for their wedding theme: Broomfield Park tropical conservatory, which you can see here. 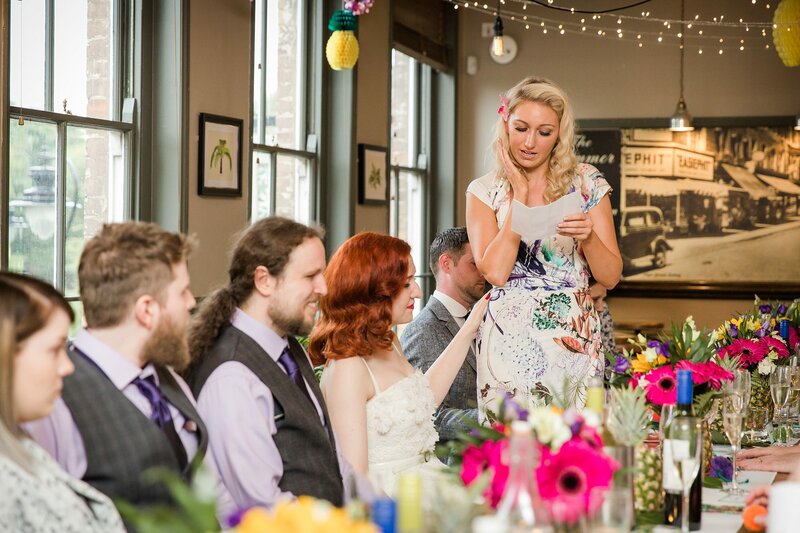 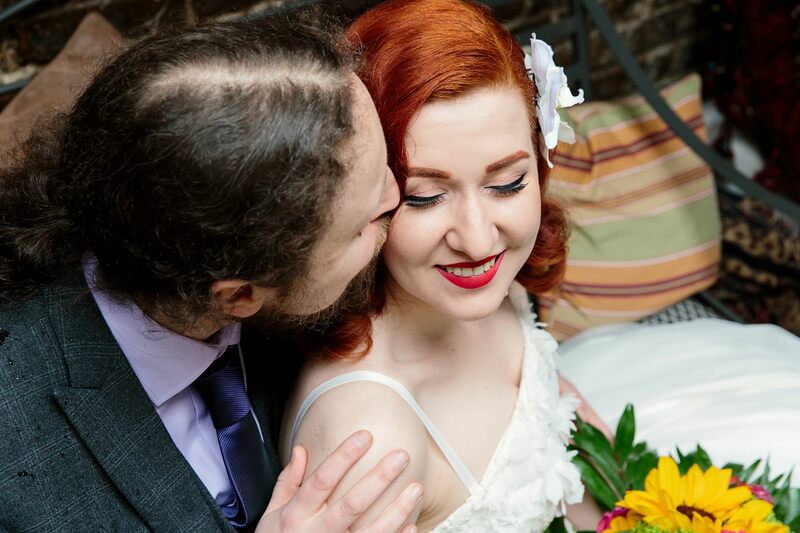 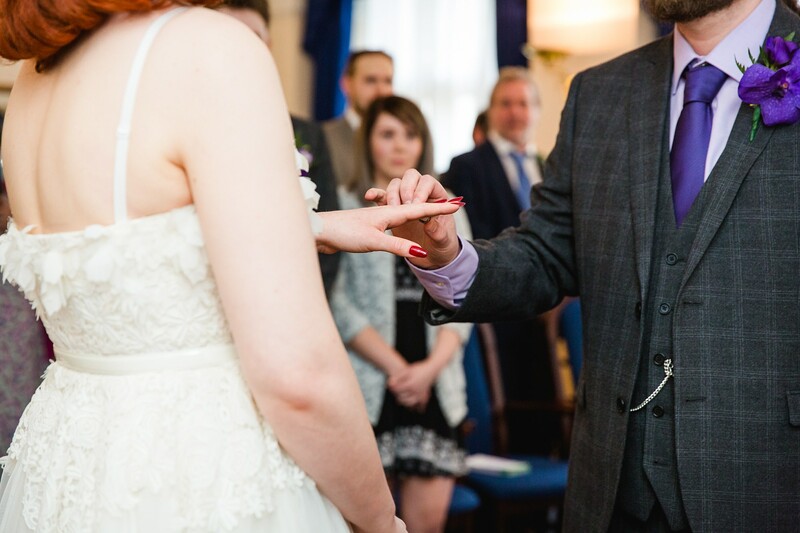 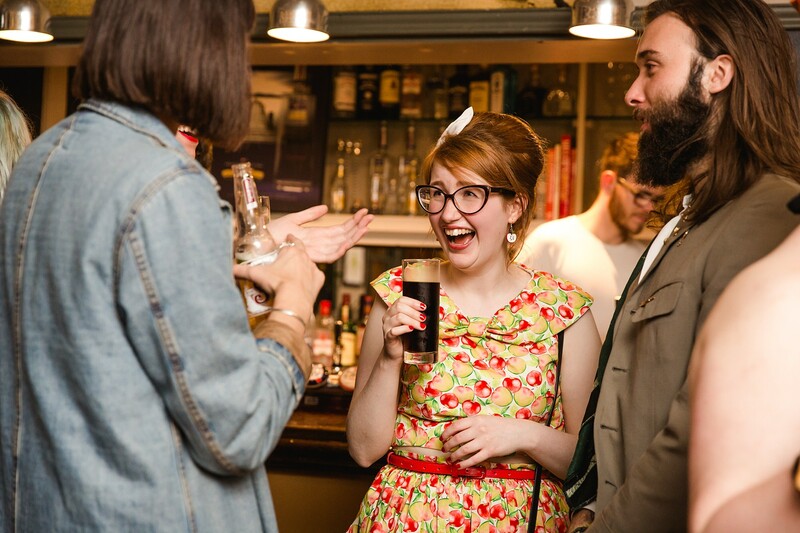 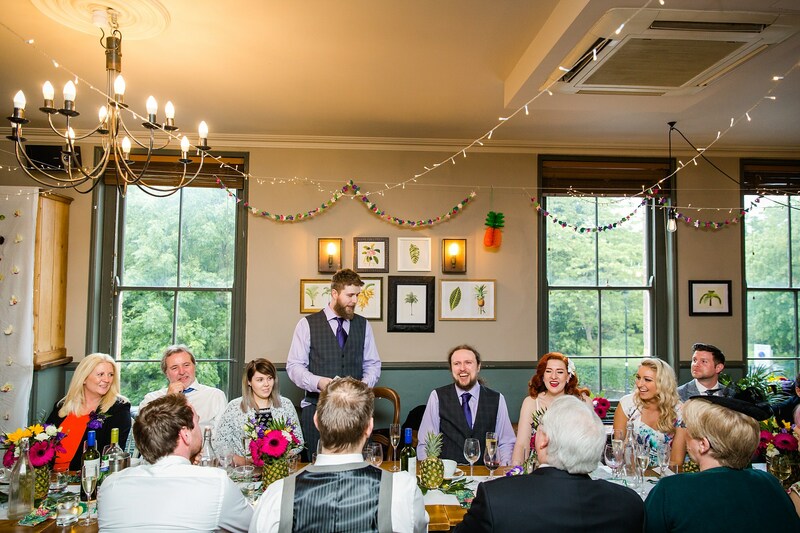 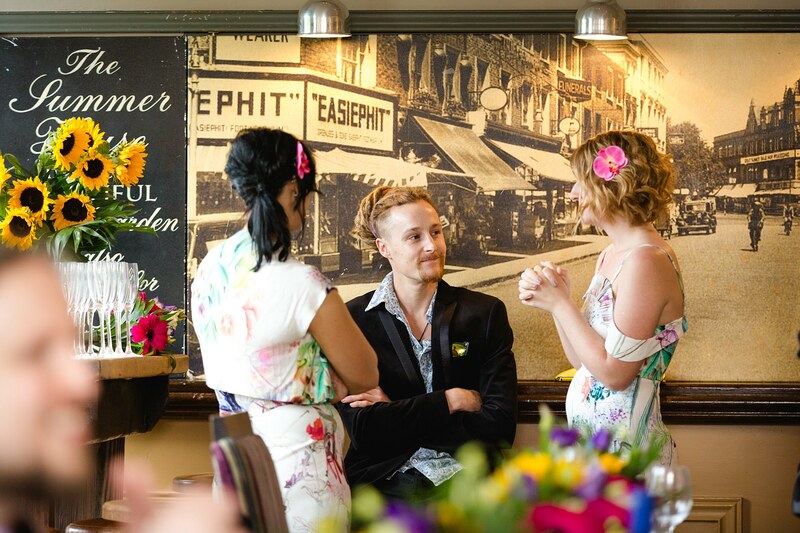 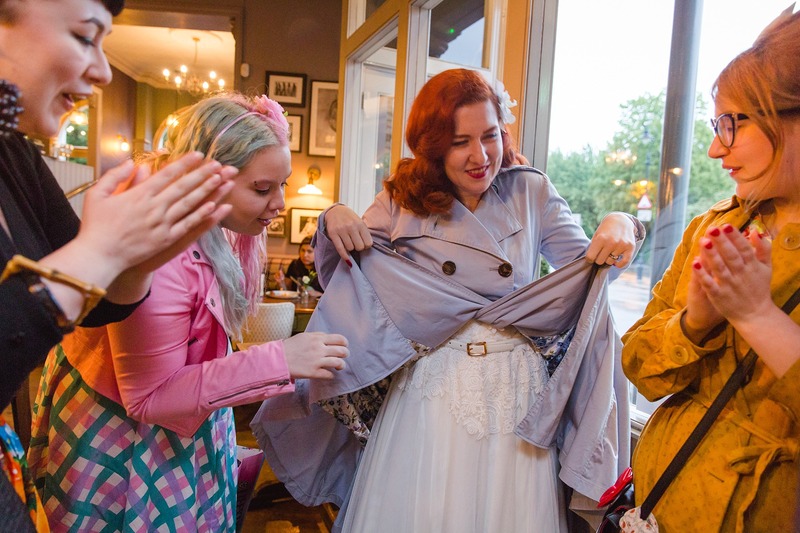 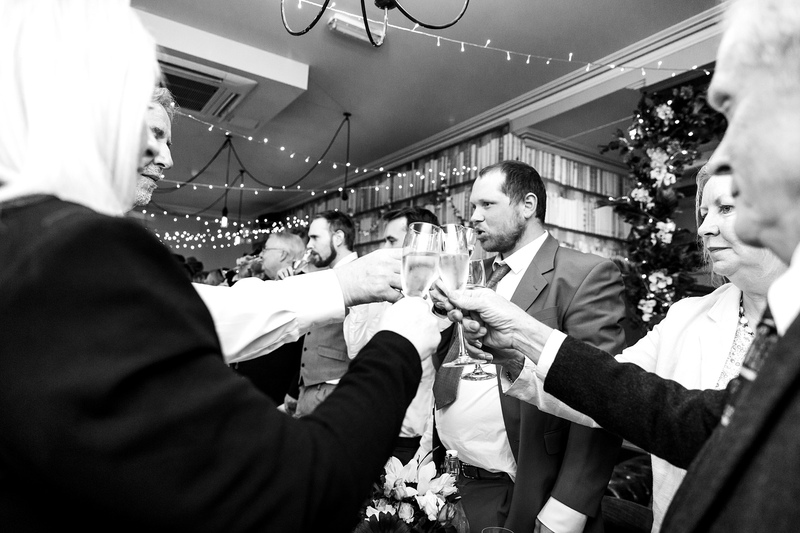 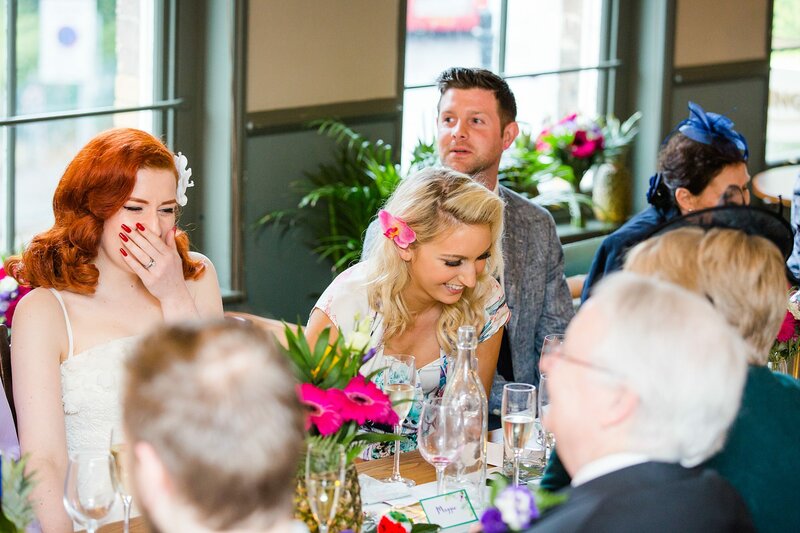 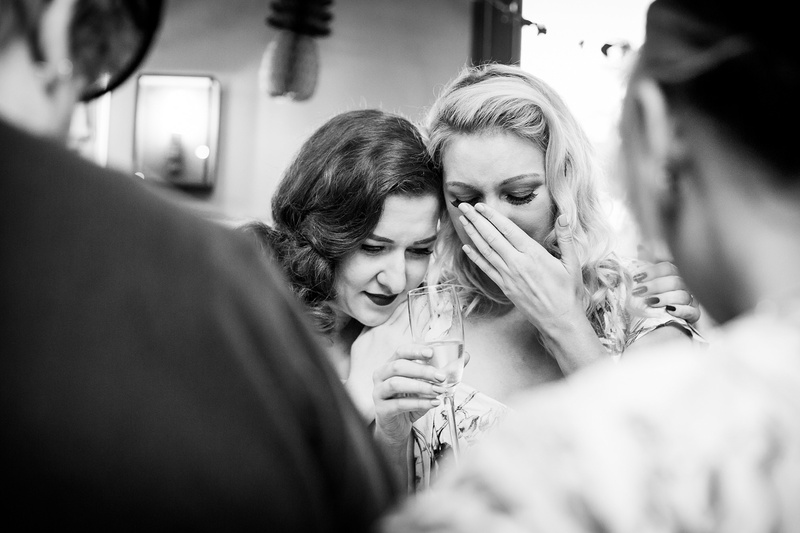 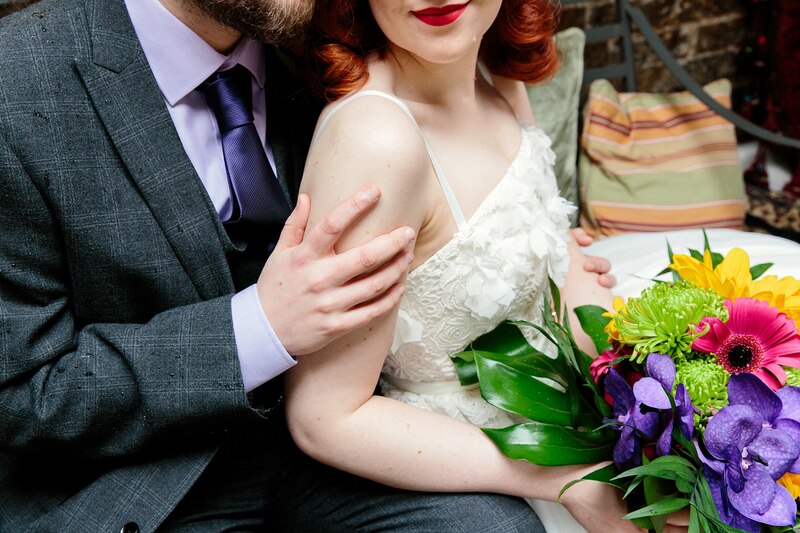 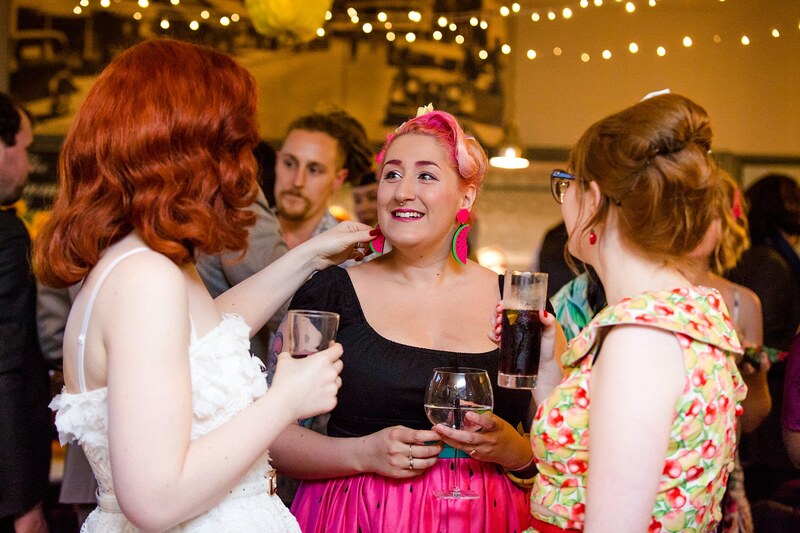 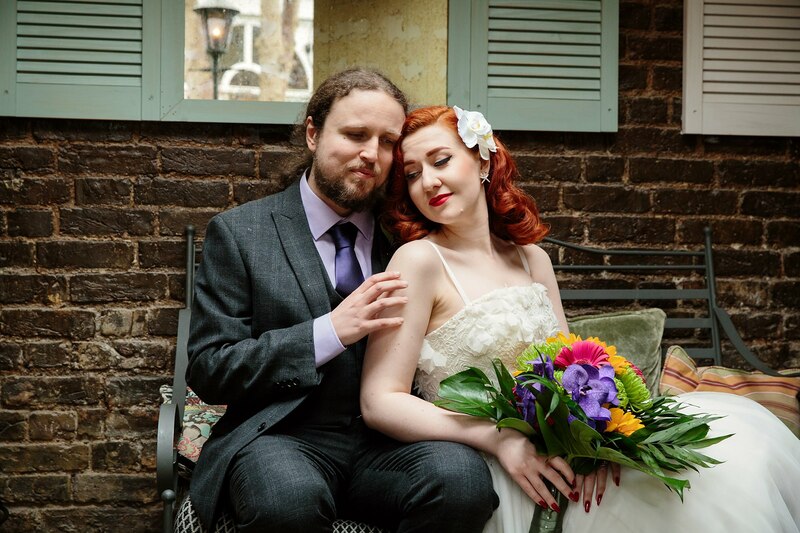 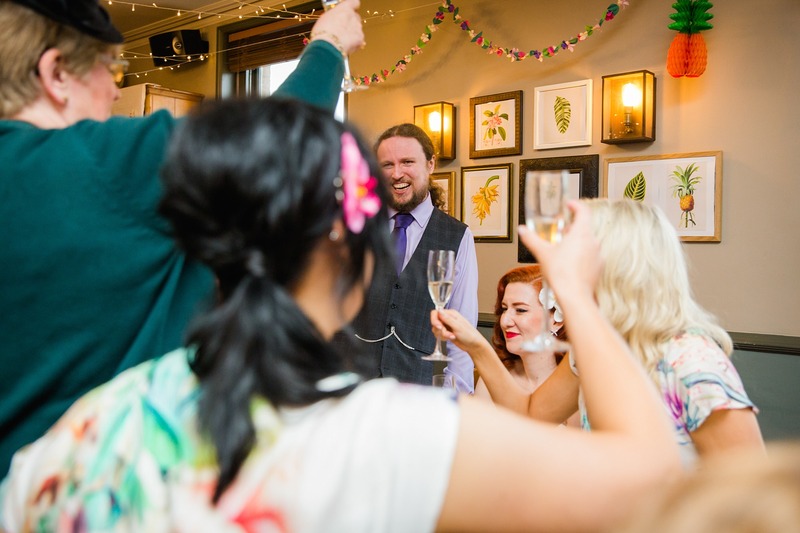 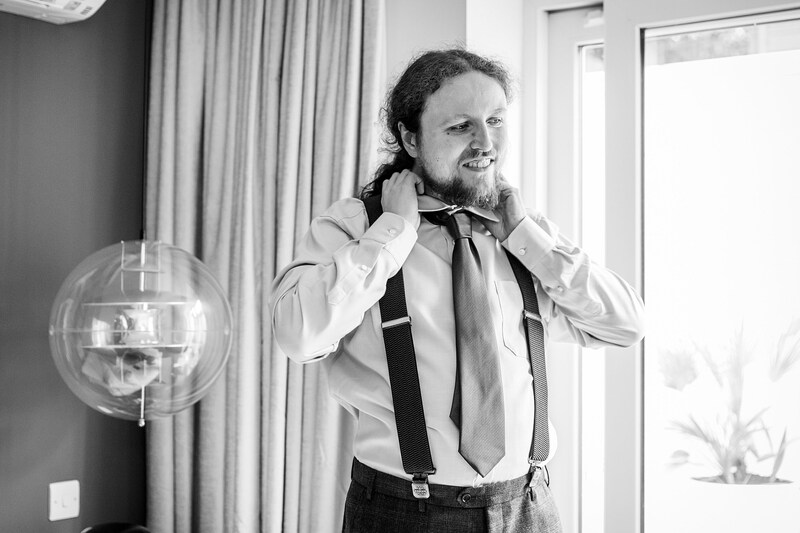 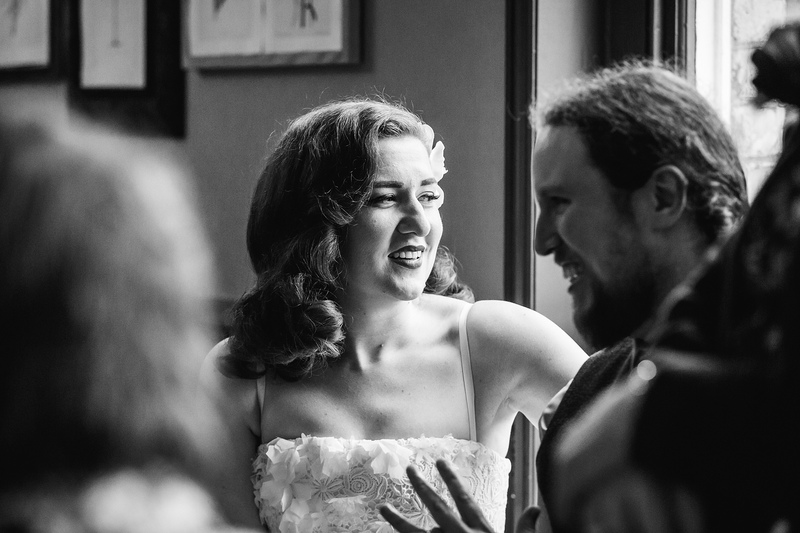 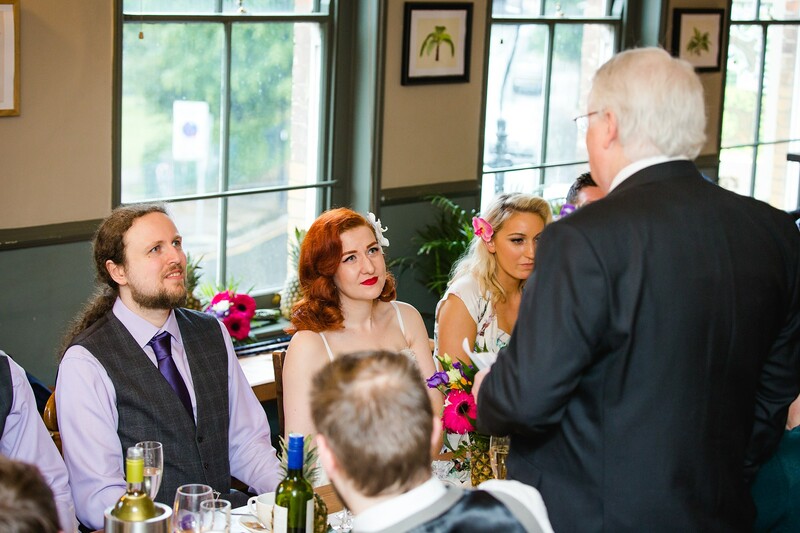 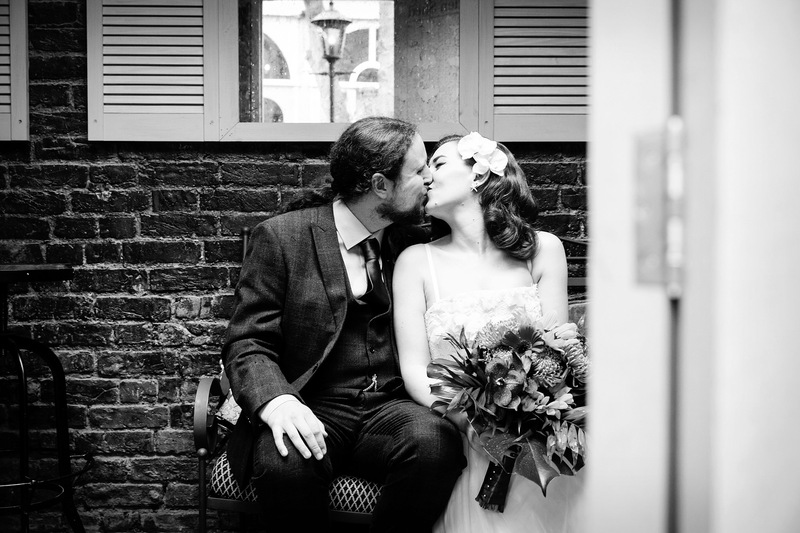 And if you want to know more on London pub weddings, check out my pub wedding guide!